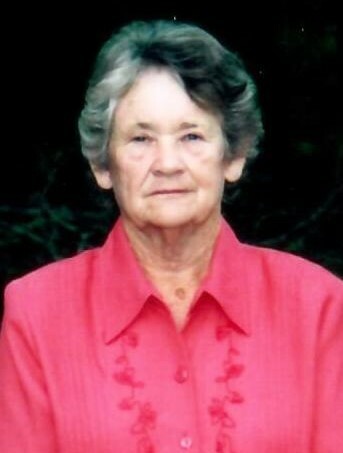 Laverne Cliett, age 85, of Pridgen, Georgia passed away on Thursday April 11, 2019 at Vista Park. Mrs. Cliett was born on October 4, 1933 in Pearson, Georgia the daughter of the late Jessie James Whitley and Ethel Carver Whitley. Mrs. Cliett was a retired seamstress and attended Rocky Creek Holiness Church. She was preceded in death by a son, James Timothy Cliett, three brothers and three sisters. Survivors include two daughters, Judy Pridgen (Larry) of Pridgen, GA and Carolyn Vaughn (Mitchell) of Douglas, GA; three brothers, Carl Whitley of Nicholls, GA, Lonnie Whitley of Nicholls, GA and Mitchell Whitley of Douglas, GA; two sisters, Gertie Bellenbaum of Nahunta, GA and Sandie Patten of Douglas, GA; fourteen grandchildren, thirty-nine great grandchildren and eighteen great great grandchildren. Funeral services will be held 2:00 p.m., Saturday, April 13, 2019 in the Chapel of Sims Funeral Home with Rev. Marshall Adcock, Rev. Chris Merritt and Rev. Hardy Crosby officiating. Interment will follow at Pridgen Baptist Church Cemetery. The family will receive friends Friday evening from 6 pm until 9 pm at Sims Funeral Home.